We have spent quite a lot of time recognizing the top individuals in the state, and deservedly so. Now it's time for us to honor those teams that had truly exceptional seasons as units. We started with all state champions and the NXN qualifiers, which were easy to identify but difficult to rank. Then we looked at state meet results as well as the regular season (rankings and results) to identify the remaining teams, who were exceptional in comparison to the rest of California's loaded field. 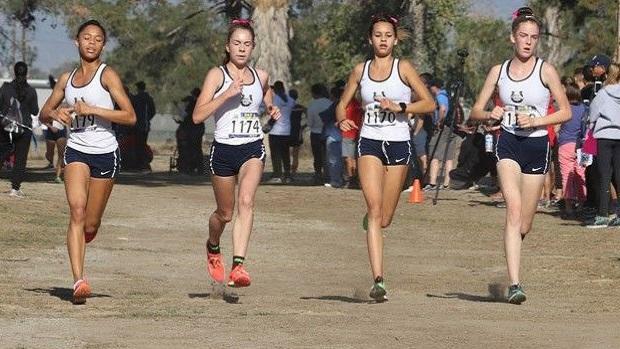 There were so many strong girls teams in California this year, making it very difficult to select the #1 team, let alone the top 10. From a very deep Division II to some impressive seasons from D1 squads that were significantly better than expected, this turned out to be an incredibly deep year on the girls' side (the state has 9 of the top 51 teams in nationwide 5K rankings). With such a large group of candidates, we didn't want to leave someone out if they just missed the cut, so those teams are recognized on this page. Some of the teams on the Honorable Mention list below could very well have been included in the top 10, and we won't be upset if you disagree with our final order. Head to the next slide to see what we decided!